Under Florida state rules, greyhound tracks are required to hire a veterinarian who must "observe the condition of all racing animals immediately prior to, during, and after a race." This provision is intended to ensure the health and welfare of all racing dogs. Of course rules are only as good as their enforcement. On March 9, 2015, Hamici was absent when a dog named Razordragoon suffered a broken leg. According to a state investigation, Hamici showed up twenty four minutes later and claimed he had been in the bathroom with "stomach problems and cramps." On February 22, 2015, Hamici was absent when a dog named B.L. Rumble collapsed and died after a schooling race. A trainer tried to call Hamici on his cell phone after the dog collapsed, but the call "went directly to voice mail." 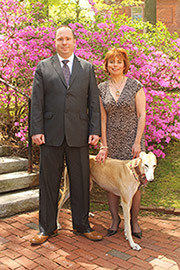 On February 28, 2014, Hamici was absent when a greyhound named WWW Ray of Grey suffered a broken leg. At the time Ray of Grey was injured, Hamici was at his clinic euthanizing another racing greyhound. For this incident, the track's General Manager was fined $400. On January 25, 2014, Hamici was accused by two state veterinarians of being absent when a greyhound named Atascocita Tofu suffered a broken leg, and absent again later that afternoon when a dog named Where's Tiny's T suffered a joint injury. After an investigation, the state found there was "conflicting information as to whether Dr. Hamici was on the facility grounds continuously" during the races that day. 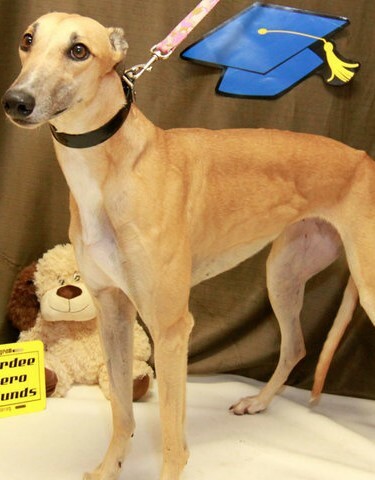 On December 12, 2013, Hamici was absent when a greyhound named Koothrappali was "badly injured" during a race and had to be carried off the track. These repeated regulatory failures call the current greyhound vet law into question. Rather than require tracks to employ private veterinarians, other states like Iowa provide state vets who are present during every race. Mandating tracks to hire private vets creates an obvious conflict of interest. It's also a burden on private businesses that are already being forced to conduct races they are losing money on. Add this to the long list of reforms that Florida should pass to help greyhounds. The dogs need independent regulation from state veterinarians. In the meantime, any vets who fail in their oversight responsibilities should be severely penalized. Just stop greyhound racing, problem solved. Time to put an end to this abuse. They only keep racing active to provide legitimacy to the on track gambling industry. Enough! All of this would stop if Greyhound racing was banned everywhere. Stop both greyhound and thoroughbred horse racing. Both are antiquated business models that exploit sentiment beings for profit. When the animals are no longer profitable they become a liability, a burden, that needs to be dumped. Greyhounds and racehorses are being maimed, and killed on racetracks everyday throughout America. It's time to end this antiquated cruelty circus.